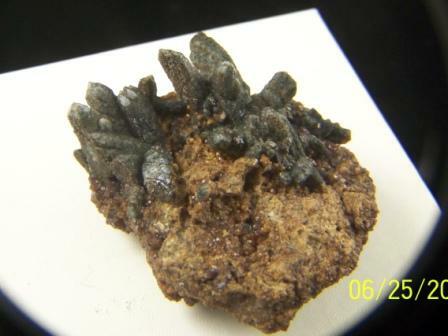 Prazym Hiddenbergite in Quartz, causing green coloration. With orange andradrite garnet in matrix. Sikohote - Alin. Mtns., Primorskiv Kray, East Siberia. Size: 1-3/8"x2"x2-1/4" Wt. : 97.68 grams.